How do you get the Kc from a SIM card? Sounds kind of like a magical question, right? 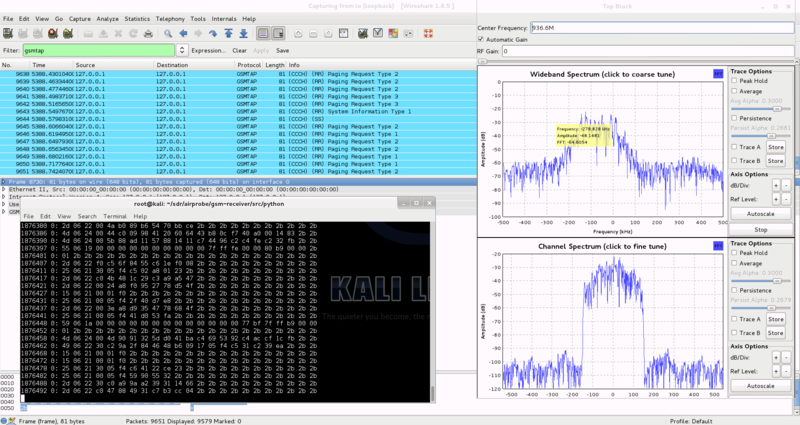 It is interesting that there are pretty much no guides on this topic, because for any GSM-debugging you need to have the so called Kc (pretty much a session key) that was used to encrypt the traffic sent over the air. This is quite an easy catch: pretty much on all of the BlackBerries you can enable the so called “Engineering Mode” which will simply show you the current Kc. Not much of fun, but a reliable, good way to do it. At the top you should see the Kc printed. 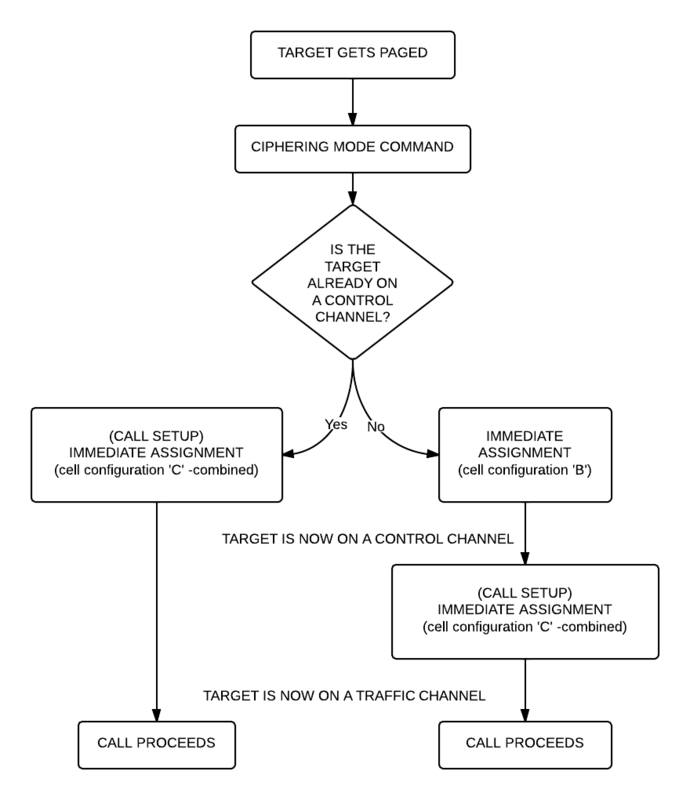 This one is the eldest and most well-known command: some phones allow you to use one of Â the standard-defined-but-not-always-implemented AT command AT+CSIM which let’s you to send raw APDUs (=”commands”) to the SIM-card via the modem. The amount of phones supporting this is very limited, according to some people older Siemens and Alcatel phones let you do this. Also older iPhone’s (3GS/3G/2G) let you do this if you are jailbroken (you need to install minicom from Cydia then connect to the device /dev/tty.debug). Newer iPhone’s don’t really let you do this, iPhone 5 owners – we all are out of luck. Some people said on the A51 mailing list that by using a simple SIM card reader they were able to extract the last used Kc from the card. I am not sure about this, but it sounds reasonable and the people who wrote about were quite convincing. 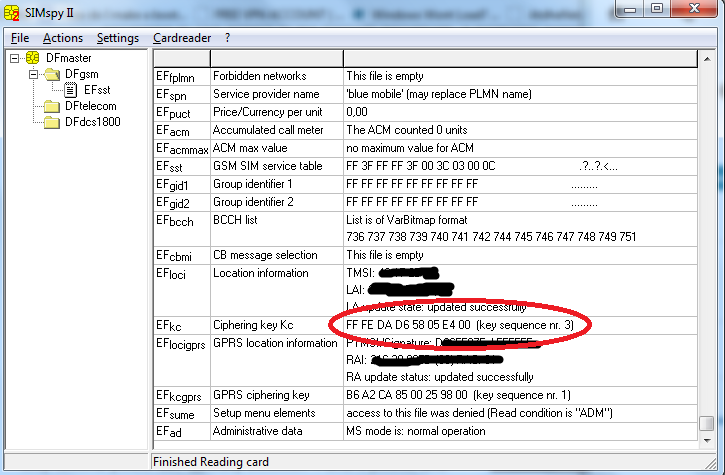 UPDATE: I tried this method using a simple PC/SC cardreader (exact model: Omnikey CardMan 5321 – it is great because it has both RFID and contact-smart card reading interfaces) and I am happy to tell you it works! Running SIMspyII after I inserted the SIM-card into the reader revealed the Kc and also everything else stored on the SIM card (I already turned off PIN-code verification for the card, not sure however how having a PIN code would change the procedure, but I assume the SIMspyII program has support for PIN-codes). The only interesting part is that the SIM-card itself is a lot smaller than a standard smart card, so you need to either take the reader apart and insert the card alone, or use the plastic card the SIM-card came with, or use an old credit card. Also there are some rumors that you can’t power down your phone because it would erase the Kc from the SIM card so you need to pull the battery out. 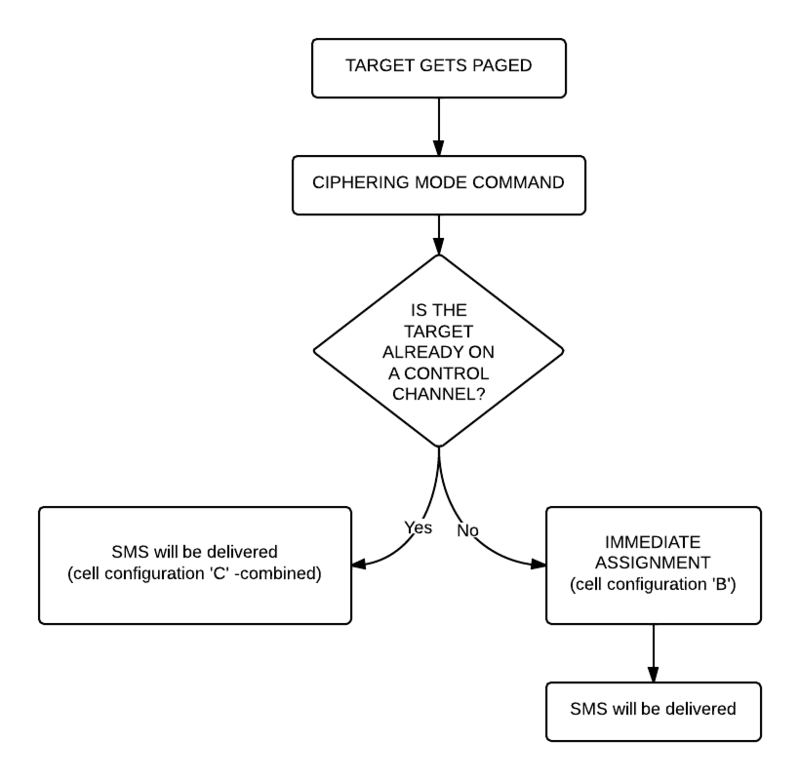 According to this mailing list threadÂ you don’t need to do that because according to GSM specification the Kc should remain on the SIM card even if the phone is poweered down (Harald Welte). According to my experience this is true. So, empty message coming back. I will update this list as soon as I find new ways to extract the KC.